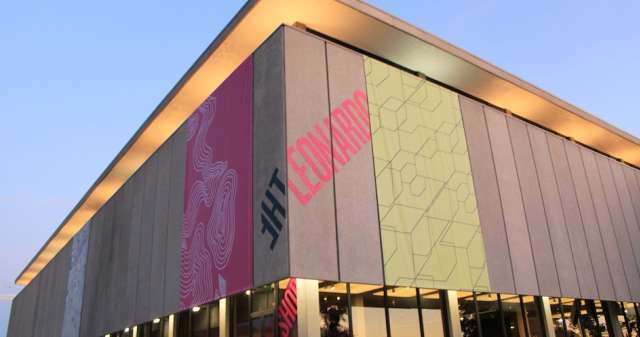 Salt Lake City’s newest art and science museum The Leonardo is lucky to have welcomed its namesake as an exhibition. Running now through January 27, 2013 the Da Vinci: The Genius is on exhibition. I was lucky to visit for a preview last week and cannot wait to go back. This exhibit allows you to see Leonardo’s work as an inventor, artist, scientist, anatomist, engineer, architect, sculptor and philosopher. Many of his inventions and work have never been built and this exhibit allows you to see his creations come to life for the first time. It’s fascinating and entertaining with every separate room exploring a new side of Da Vinci. The exhibit even offers displays you’re encouraged to touch! If you’re visiting or a local, you should take advantage of the time this exhibit is showing at The Leonardo. Salt Lake is lucky to have Da Vinci stop along its worldwide tour. Which side of Leonardo da Vinci was your favorite?